He’s on the East coast and I’m here in LA. So we talk a lot on the phone, skype, text, email, etc. This is great because I’ve been obsessed with my phone since I finally became a smartphone user in last August. It’s glued to my hands and I do everything on the phone although my computer is on pretty much all day. First thing I do in the morning is checking emails on my smartphone in the bed – partly to force myself to open my eyes. And of course text, facebook, LA times, twitter, and everything you can do on a smartphone. But some emails come with a large picture or a lot of information and I re-check those on a computer when I actually get up. I had ordered a bicycle lock that is now never coming for 11 days so I thought the email was about that order. Clearly, something was ordered this morning and there was my husband’s name, too. Strange, I was sleeping. 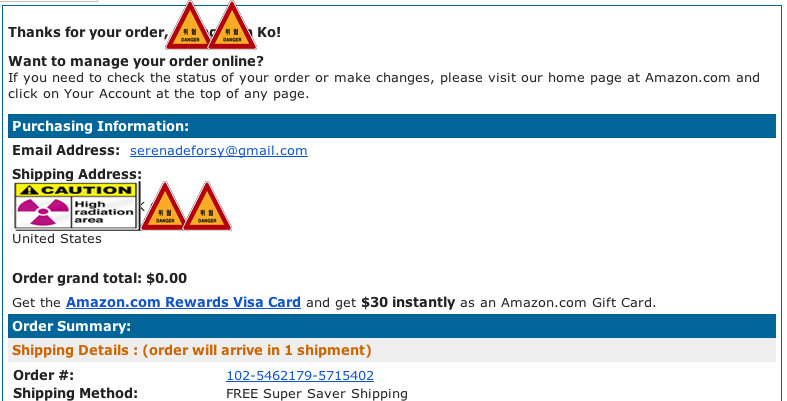 Did somebody steal my credit card info?! So this would be a kind of email I re-check on a computer and thankfully make me get up immediately. Then I saw a text from my husband. He likes window shopping but rarely buys anything. And we’ve been trying to save as much as we can so immediately I got so curious what he had bought in the early morning as soon as he had woken up. Even though I didn’t really buy him a Christmas gift last year (despite the fact it was our first Christmas together) and we’re not so big on celebrating all the special days, he’s still given me gifts or taken me out on a dinner on special occasions. I decided not to ask him what he bought because I wanted to wait to surprise myself. With my dreamy eyes and happy smile, I made myself a cup of morning tea and got a piece of Babka (my new favorite Eastern European cake) before I go through a list of things to do. First thing on the list: check when the h*** my bicycle lock (the one I mentioned above) is schedule for delivery. I ordered it on Jan 27. Yes. 11 days is enough time to receive something shipped from Korea. And if you live in Korea, you’d have received your order, returned it, and got a refund in your bank account. I logged onto my Amazon account without thinking that I’d get to see what he ordered for my Valentine’s day gift. It took me a couple of seconds to realize that he didn’t order those razors for me, nor did he for a Valentine’s day gift. 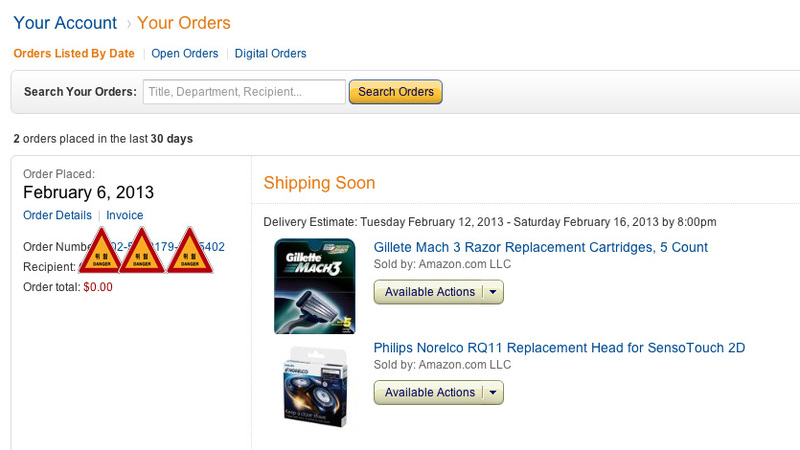 I rechecked the order confirmation email and yes, it said he ordered razors. Because I was just waking up when I saw the email, and it was one of those lots-of-info-so-check-again-on-a-computer emails, I didn’t scroll down to see the order detail which would have shown me the razors. Also, if I hadn’t been half asleep when I checked the email on the phone, I would’ve been clever enough to doubt it’d be a Valentine’s day gift because the email clearly said it’s being shipping to my husband’s current place. But the instant thought of “only a week to the Valentine’s day!” just blanked my head. Cannot call my father father. Cannot call my brother brother.